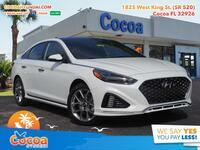 It’s probably not hard to believe that the most popular sedan on our lineup is the 2018 Hyundai Sonata. 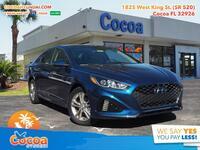 The midsize sedan has been around for more than three decades, perfecting itself over generations. 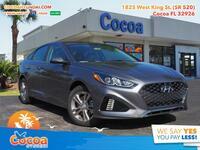 This year, Hyundai has introduced its best Sonata yet, and it makes a real threat in the midsize sedan segment. We thought we’d show you just how much of a threat it poses by pitting against one of its biggest class competitors, the 2018 Nissan Altima. 16.3 cu. ft. Cargo Capacity 15.4 cu. ft.
122.4 cu. ft. Passenger Volume 117.3 cu. ft. 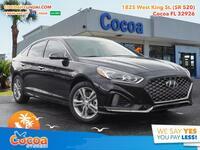 The table up above highlights a few of the most important specifications to take into consideration in a midsize sedan like these two. We thought we’d work our way right through the table to give you the best look at what sets the two apart. The first row looks at power, in which the Sonata offers an extra 6 horsepower. That’s not a huge advantage, but it could certainly lead to a slightly more enjoyable driving experience behind the wheel. The second row shows a more noticeable advantage, unfortunately it’s in the Altima’s corner though. The Altima manages to get an extra 2.5 miles per gallon in terms of combined fuel efficiency, which could lead to some pretty nice savings at the pump over time. 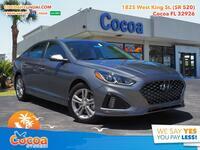 But, as the third and fourth rows prove, the Hyundai Sonata offers a lot more space than the Altima, meaning it could be more versatile and comfortable. 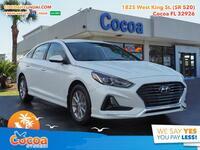 In particular, the Sonata offers an extra 0.9 cubic feet of space in the trunk, and an extra 5.1 cu. 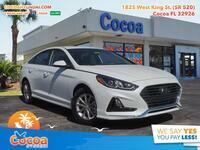 ft. of space in the cabin for you and your passengers to stretch out and get comfortable in. 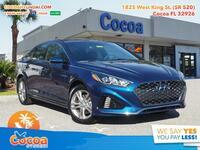 Those are some pretty hefty advantages, so if you think the Sonata might be the right choice for you be sure to get in contact with us right here at the dealership. We look forward to hearing from you!